HOT!!! 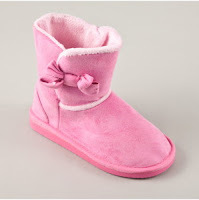 Totsy- Kids Faux Suede Boots with Bow Only $10~Mom & Child Aprons starting at $3.95 & Tons More!!! Great Sale from Totsy at Madness Jr Boots! You can get these adorable boots for only $10!!! My little girl is going to love them! If you are not a member of Totsy, you can sign up here and get your first order with free shipping if you purchase within 30 days! 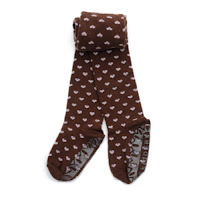 These feature a fleece lining and a decorative bow, they’re as snug as they are stylish! They are available in different colors and sizes. Womens sizes are available also for only $12.50 each! Another HOT Deal!!! 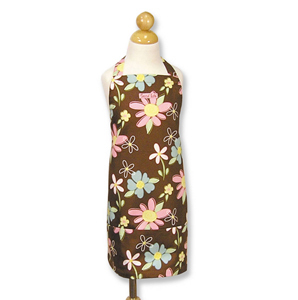 Mom and Child Aprons are only $7.95 for adult sizes and $3.95 for child sizes. Another adorable item that my daughter will absolutely love. 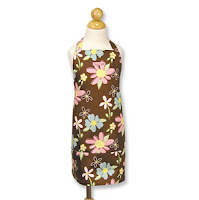 This is for any child that loves to help out in the kitchen! While you are there, check out Skidders! Bright, fun and full of personality, Skidders are the socks of the future. Designed with a durable, non-slip outsole and cushioned insole, this collection offers freedom of movement, traction and protection, indoors and out! Ages 1-14. These tights are only $5.75!!! There are so many great deals to choose from at Totsy, I love this site!!!! New deals are added daily but they don't last long, so hurry and sign up today!! !